Falls, confined spaces, and electrical hazards aren’t the only dangers affecting workers. Noise exposure is an often overlooked safety topic, especially in industrial workplaces where noise is constant. Each year in the United States, thousands of workers suffer permanent, avoidable hearing loss, with 21,000 cases in 2009 alone. Another often missed danger is crystalline silica dust, which can cause the sometimes fatal lung disease, silicosis. Businesses should ensure that all workers be protected and receive comprehensive training in OSHA safety topics to help prevent exposure to these and other workplace hazards. During an eight-hour shift, an Ohio worker at MCM Precision Castings Inc. was bombarded by sustained noise levels of nearly 100 decibels, comparable to that of a snowmobile or MP3 player at max volume. Other workers endured both hazardous noise and inhaled large amounts of crystalline silica dust, a substance that can cause severe and life-threatening symptoms. An inspection uncovered 18 safety and health violations. Managers at MCM failed to audit the workplace for noise hazards, provide workers with protective gear, or even monitor noise hazards during the workers’ shifts. MCM also committed one willful violation by failing to conduct employee hearing tests, which would have revealed the problem early on. 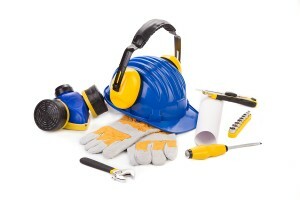 Occupational hearing loss is one of the most important OSHA safety training topics. Constant, repeated exposure to hazardous noise changes the way the ear functions. The damage done cannot be reversed with surgery or hearing aids. Loud noise also increases the risk of workplace accidents. Warning alerts can be muffled, instructions can be misinterpreted, and communication becomes difficult. And sound waves don’t just affect the ear; powerful vibrations can stress the body and mind, leading to changes in mood, behavior, and productivity. Use quieter equipment and machinery. Inspect, maintain, and repair all equipment regularly. Install noise absorption panels, curtains, walls, or other barriers to protect workers from noise. Confine the noise to a low-traffic area. Rotate workers on and off of noisy equipment. Provide hearing tests, hearing protection, and hearing loss education. OSHA requires employers to identify and evaluate the noise exposure that employees are subject to on the job. An industrial hygienist is engaged to conduct a noise survey, obtaining an initial baseline exposure rating and recommending noise abatement actions, if any are required. Then, follow-up tests are required every 3-4 years, or whenever machinery is changed or added in the facility. OSHA-Pros can provide you with a free quote on a noise exposure evaluation. The fine particles of crystalline silica dust are roughly 100 times smaller than grains of sand. Silica dust can enter the atmosphere undetected during common workplace activities such as cutting, sawing, grinding, drilling, and crushing. 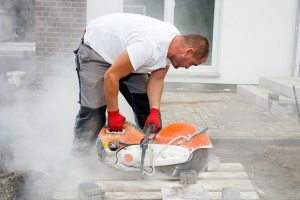 When inhaled, silica dust can cause silicosis, a chronic lung disease. Symptoms of silicosis include fatigue, trouble breathing, changes in appetite, chest pain, dry cough, and even lung failure, which can lead to death. Download our silica exposure infographic to help you and your team identify the exposures and effects of silica exposure. Turn on exhaust ventilation while performing heavy-duty activities. Use water-based techniques to cut, saw, grind, drill, and crush to prevent dust from rising into the air. Provide all workers with respirators designed to protect against silica dust. Avoid eating or drinking near silica dust. Wash hands after performing an activity with the potential to generate silica dust. It is an OSHA requirement to know what noise and air contaminates your employees are being exposed to while at work. Companies often fail to inspect machines, install safeguards, or train workers in safe practices. Noise and dust exposure are still a problem in many workplaces. The result: thousands of cases of avoidable injury or death. Employers and employees can both contribute to a safe workplace. Workers should have adequate safety procedures in place, be able to recognize threats, remove themselves from danger, and inform others of the situation. Managers should provide workers with proper protective equipment, inspect a workplace for safety concerns, and inform workers of potential dangers before commencing a project. For the training you and your team need to recognize and avoid these workplace hazards, OSHA Pros provides comprehensive safety training in convenient, online courses as well as custom onsite training for larger teams, as well as consultations. Get the training you need today to make sure your workplace is a safe place.